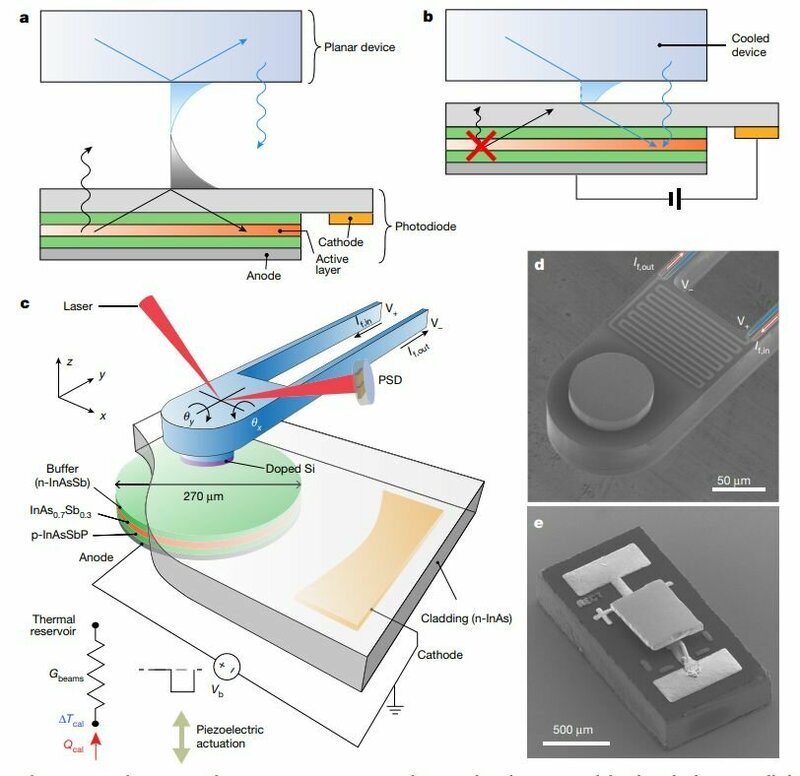 In conclusion, which contradicts the commonly accepted assumption in physics, researchers at the University of Michigan run an LED with inverse electrodes to cool another device only on nanometers. The approach could lead to a new solid state cooling technology for future microprocessors that will have so many transistors packed in a little space that current methods can not remove heat quickly enough. for using photon cooling devices, says Pramod Reddy, who manages the work with Edgar Meyhofer, the two professors in mechanical engineering. The first, known in the field as laser cooling, is based on the founding work of Arthur Ashkin, who shares the Nobel Prize in Physics in 2018. Instead, the researchers used the chemical potential of heat radiation – a concept that is used more often to explain, for example, how a battery works. Suppose the chemical potential of the radiation is zero, Meihofer says. "But the theoretical work dating back to the 1980s suggests that under certain conditions this is not the case." The chemical potential of the battery, for example, drives electrical current when placed in a device. Inside the battery, metal ions want to flow to the other side because they can get rid of some energy – chemical potential energy – and we use this energy as electricity. Electromagnetic radiation, including visible light and infrared heat radiation, usually has no such potential. To get enough infrared light from an object in the LED, the two would have to be extremely close together – less than one wavelength of infrared light. 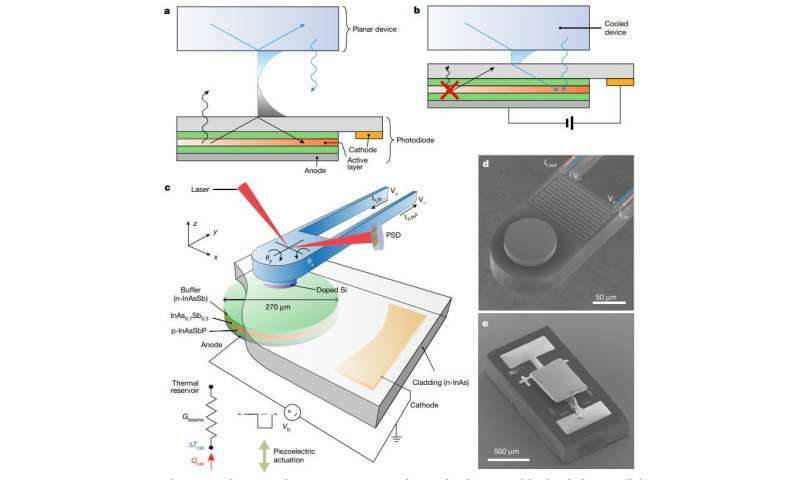 This is necessary to take advantage of "close-range" or "short-range" effects that allow more infrared photons or light particles to pass from the object to be cooled in the LED. The Reddy and Mehofer team had a foot up because they had already heated and cooled nano-sized devices, arranging them to be only a few dozen nanometers apart – or less than a thousandth of a hair. In this immediate vicinity, the photon that would not escape the object to be cooled may switch to the LED, almost as if the distance between them does not exist. And the team had access to an ultra-low vibration lab, where measurements of nanodimetric objects were made possible because the vibrations, like those from others in the building, were dramatically reduced. The group proved the principle by building a miniature calorimeter, which is a device that measures energy changes and places it on a miniature LED with a size of rice grain. These two are constantly emitting and receiving thermal photons from one another and everywhere in their environment. "Every object that is at room temperature emit light, and a night vision camera actually captures the infrared light coming from a warm body." With the improvements in efficiency and cooling rate of this new approach, the team predicts this phenomenon as a way to quickly separate heat from a microprocessor in the devices. He may even oppose the abuses suffered by smartphones as nano-sized dividers could provide a separation between the microprocessor and the LED. entitled "Photon cooling in the near field by controlling the chemical potential of photons."